KnowCrazy.com: S.R.Tendulkar- the first player to score 50 TEST centuries. S.R.Tendulkar- the first player to score 50 TEST centuries. Indian batting maestro Sachin Ramesh Tendulkar on Sunday became the first batsman to score a monumental 50 centuries in Test cricket history. The little master reached the coveted landmark when he completed his ton in 197 balls on the fourth day of the first Test against South Africa at SuperSport Park, Centurion. Tendulkar takes a single off Dale Steyn to achieve the historic milestone. The master batsman, enjoying a memorable year at age 37, has amassed 1,532 runs in thirteen Tests this year at an amazing average of more than 85 runs per innings. Tendulkar has scored seven centuries and five fifties in the year 2010 with one more match to play against South Africa starting on December 26. Test cricket's greatest run-scorer has till now scored more than 14,500 runs and scored 59 fifties along with the half-century of centuries. 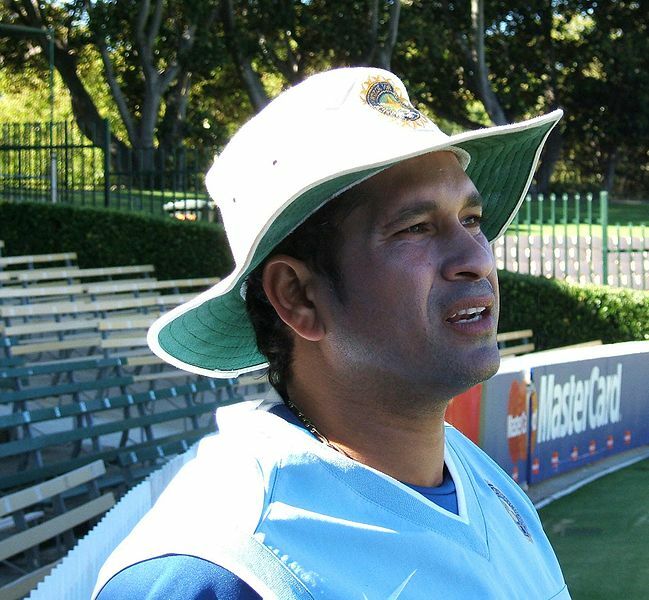 With one more match of the three-Test series in South Africa scheduled for this year, Tendulkar has opportunity to surpass Mohammad Yousuf's record of 1,768 runs in a calendar year (2006). 15. Man of the Tournament in the 2003 Cricket World Cup. 17. He is the only player to be in top 10 ICC ranking for 10 years. 18. He is one of the three batsmen to surpass 11,000 runs in Test cricket, and the first Indian to do so. 21. In 2002, Wisden rated him as the second greatest Test batsman after Sir Donald Bradman. 22. he was involved in unbroken 664-run partnership in a Harris Shield game in 1988 with friend and team mate Vinod Kambli. 25. 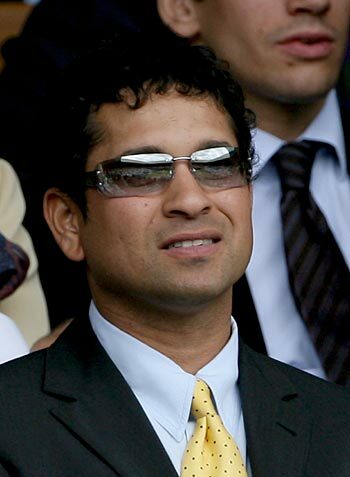 Tendulkar has been granted the Rajiv Gandhi Khel Ratna, Arjuna Award and Padma vibhushan by Indian government. He is the only Indian cricketer to get all of them. And the only cricketer to receive Padma vibhushan. 28.First batsman in the history who was given out through third umpire. 29. He has the least percentage of the man of the matches awards won when team looses a match. Out of his 61 man of the match awards only 7 times India has lost. 33. Has the most overall runs in cricket, (ODIs+Tests+Twenty20s), as of 30 June 2007 he had accumulated almost 26,000 runs overall. 40. the only player ever to cross the 13,000-14,000 - 15, 000and 16,000 run marks IN ODI. 43. 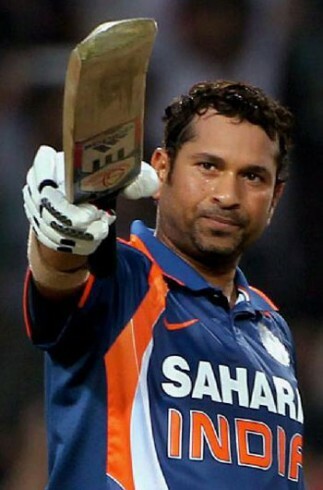 Tendulkar has scored over 1000 ODI runs against all major Cricketing nations. 53. He is second most number of seasons with over 1000 runs in world. 57. Became the first Indian to surpass the 11,000 Test run mark and the third International player behind Allan Border and Brian Lara. 58. Tendulkar is fourth on the list of players with most Test caps. 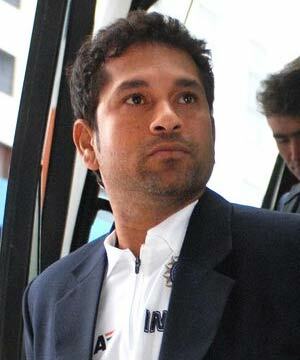 Steve Waugh (168 Tests), Allan Border (158 Tests), have appeared in more games than Tendulkar. 59. 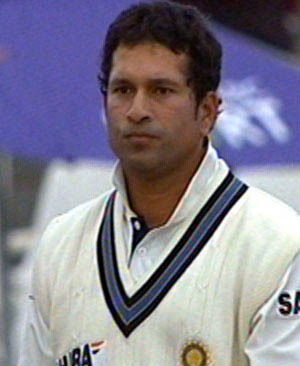 Tendulkar has played the most number of Test Matches for India (Kapil Dev is second with 131 Test appearances). 61. Tendulkar's 25,000+ runs in international cricket include 17000+ runs in ODI's, 13,000+ Tests runs and 10 runs in the lone Twenty20 that India has played. 62. 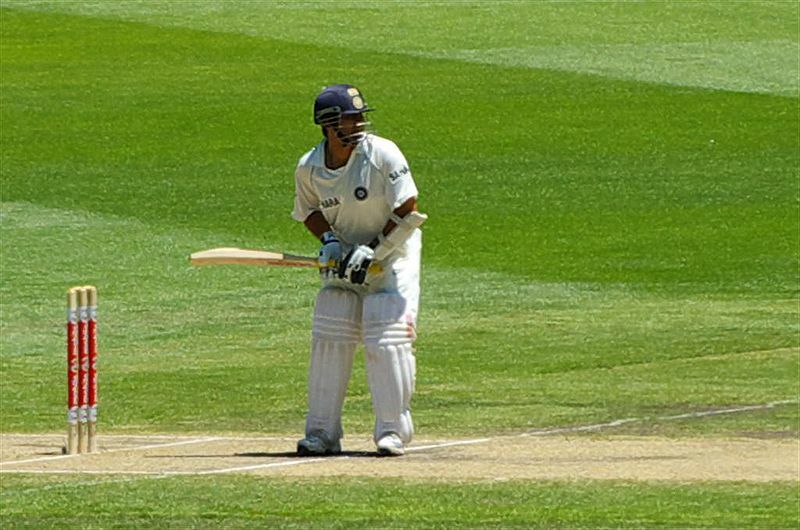 On December 10, 2005, Tendulkar made his 35th century in Tests at Delhi against Sri Lanka. He surpassed Sunil Gavaskar's record of 34 centuries to become the man with the most number of hundreds in Test cricket. 68. Highest no. of centuries in Test cricket 50. SOUTH AFRICA SEEMS TO BE LUCKY/HIS FAVOURITE TEAM..